Part of From the Vault. On November 22nd, 1963, at a performance of the Boston Symphony Orchestra, conductor Erich Leinsdorf delivers the news of President John F. Kennedys assassination to a shocked audience. Leinsdorf then announces that the orchestra will play the Funeral March from Beethovens third symphony. 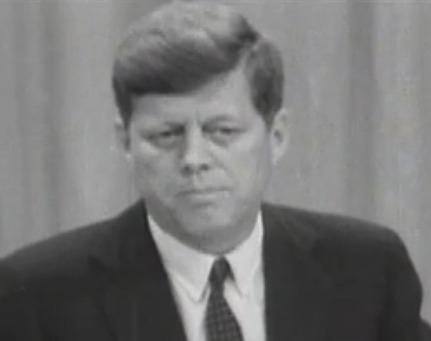 Chicago: “Boston Symphony Orchestra; Boston Symphony Audience Learns of the Death of JFK,” 11/22/1963, WGBH Media Library & Archives, accessed April 25, 2019, http://openvault.wgbh.org/catalog/A_D45936FAA8634E51B92408351A24CCAA. MLA: “Boston Symphony Orchestra; Boston Symphony Audience Learns of the Death of JFK.” 11/22/1963. WGBH Media Library & Archives. Web. April 25, 2019. <http://openvault.wgbh.org/catalog/A_D45936FAA8634E51B92408351A24CCAA>.